It’s furahiday evening, I’ve just returned home and found some nice items in my snail mail. Things that brought a smile on my face. 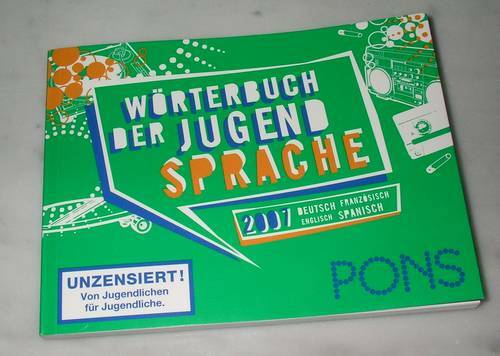 A dictionary on words as used by the German youth. With some equivalent translations for French, English and Spanish on each entry. Ok ok ok, the other day I already asked for comments on some of these colloquial words as used in today’s German, but this booklet actually is a bit strange. Nevertheless, if you ever wondered about the real meaning of Gazellenfraktion, Bitchburner, Hülsenfrucht or Wurstmensch – this booklet might help. 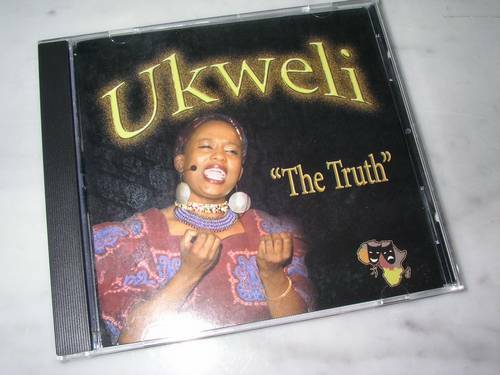 Irene forwarded this CD to me and I still need to listen into it (I’ve just unpacked it – is this some sort of poetry made for the US market? lemme check..). Speaking of music, I currently enjoy listening to the audio stream of Radio Okapi. Soukous, baby! Attended another blogger meeting late last night right here in Frankfurt. After enjoying a few beers with my jamaas in the Kenyan blogosphere some time ago, I thought about trying to explore the scene over here in Frankfurt, and it turned out to be really nice! Fellow blogger Silke organized the event, and next to my new colleague Christian, I also had some nice conversations with Robert, Henning and Arno. There’s a webmonday coming up this next monday, and I am already considering going there. The beauty of such events is that you are actually talking to folks who read the same blogs (at least those from within the German blogosphere which is btw still very limited) and who are showing some interest in the international scene. The German section of GlobalVoices, for instance, is still very deserted, but as much as I like bridge-blogging, I currently don’t have the energy to cover the German blogosphere. Also, blog posts such as this one here clearly show that I am more interested in contributing my own content instead of just reposting another youtube video that seems to be cool or writing a summary/round-up on the important stuff that has been going on (another point is that I do not consider my English good enough for GV, but that’s another story..). 8 years ago, my bro KPT, Tammo and I went to a big VC guy right here in Frankfurt where we presented our (still cool) idea for an online application which was based on the wireless application protocol. This VC guy carefully listened to our idea and then ripped us apart, but also gave us some valuable feedback on how to improve that idea. Later on, as everyone else had different careers going on, the project stalled, but this experience is still very vivid in our memory, and last evening, while talking to Burkhard who also works as a VC, I was reminded of this event. This particular VC guy from 1999 actually quit his job soon after the dot-com bubble bursted and is reported to be working as a salesman for prefabricated houses nowadays. LOL! To Braun, or to Philips: that is the question…every serious man will ask himself one time in his life. I know my bro-in-law actually only uses a wet shaving technique, but I prefer an errectricooor shavaaa. 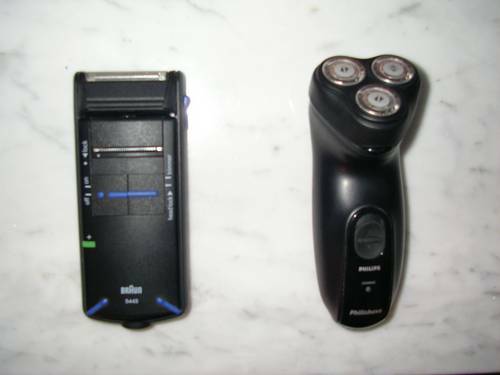 So I am in the lucky state of owning both systems, and while I’ve been a die-hard user of the typical Braun shaver system (as pictured on the left) with this very Shave 1.0 blade in the past, I am currently trying to see if I shouldn’t use the Philips three-bladed approach instead. And to add to that , Anna in person is a great person and she is such a great Entertainer!